Japan takes anti-pirating seriously, having recently updated existing laws to make data theft even more challenging. A sentence of up to 10 years in prison, accompanied by a ¥10 million fine ($81,053), may make online piracy unappetizing as well as unprofitable. While these laws are primarily aimed at virtual pirates who possess the capabilities and intentions of profiting off this type of theft, the laws also target individuals whose sole interest is in watching the content. For those private citizens, there is help to make their online activities more private and more secure. VPN stands for Virtual Private Network and it does just what one might assume. It creates a secure internet connection, which helps in accessing websites that may be restricted by one’s regional government. The primary purpose of Japanese VPN services, however, is to protect an individual’s browsing activity from prying eyes. VPN services can help people by providing a measure of privacy, especially while on the go. Whether you take your mobile device or carry a laptop with you, traveling is much more enjoyable with something to occupy that travel time. Enabling your VPN service adds a measure of privacy, protecting your activities from being discovered over public wifi services. Security ties into privacy in that we want to be secure in our browsing activities, particularly when using public internet services to do online banking or finish up work. When you enact the VPN service, that’s all prying eyes will see. Everything else travels along a secure connection. Who’s prying? Hackers hoping to get your financial data and passwords is the easy answer, but you may also be monitored by the government and regulatory agencies, stalkers, phishing sites, or anyone else with an unsavory interest in your online activities. In the United States, Americans aren’t faced with too many restrictions, but that can change if you’re traveling out of the country. Likewise, citizens of Japan face far more restrictions and may find even greater use for a VPN. While sites like Netflix and Hulu may be blocked in certain regions, they can be accessed in those regions, once a VPN has been launched. a. NHK – Financed by receiving fees, NHK is the only public broadcasting station in Japan. 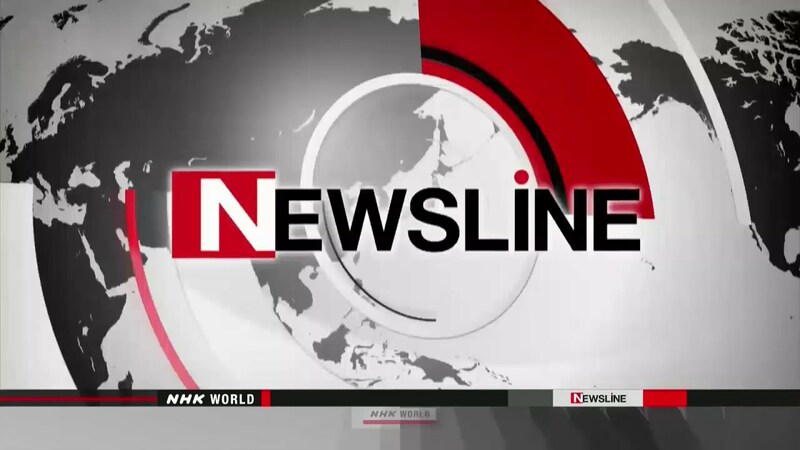 NHK World offers programming across television, video streaming, and radio platforms, broadcasting in 18 languages. b. Nippon TV – Owned by the Yomiuri Shimbun, Nippon TV is a network based out of Tokyo, Japan in the Minato province. The network is responsible for some of the countries top anime and manga entertainment, such as Death Note, Wolf Children, and The Twilight Samurai. c. Fuji TV – This network is also out of Minato in Tokyo, Japan and offers a wide range of programming to appeal to most Japanese demographic groups. From news and reality TV to anime and movies, Fuji TV tries to offer a little of everything. d. TV Tokyo – Headquartered in Roppongi, Minato, Tokyo, Japan. TV Tokyo offers a wide selection of anime and manga programming. This type of animation has come to represent a huge share of the Japanese market and TV Tokyo strives to capture as much of that market as possible. e. TV Asahi – Also referred to as EX and Tele-Asa, TV Asahi offers programming that interests a wide range of viewers. Some of the network’s more popular offerings are Aibo, Super Sentai, and Kamen Rider Ghost. f. Tokyo MX – The Tokyo Metropolitan Television Broadcasting Corporation is unique in that it exclusively services the city and is unavailable in other regions. Some of their more popular anime shows are Girls und Panzer, Sakura Quest, and Love Live! For those hoping to find a cheap alternative, there are a number of free Japanese VPN services available. Often, free services have limited features, such as a predetermined bandwidth limit. If you find a free service you like, you may be able to purchase a premium service that will enable better features. Unfortunately, free VPN services are worth every penny you pay for them. Consider the fact that running a VPN service, or any online software, requires real world hardware. Actual computers, servers, and the spaces to store them all cost money, so how can any company offer a free VPN service? They can’t. In fact, you are the one helping them to make their money, as a subscriber to their free VPN service. You’re doing this by one of two ways. First, commercial VPN service providers offer a free service to get you in the door, so to speak. Once you’ve subscribed to their free service, which may only be free for a trial period, they expect you to pay for the premium service. This may be the best option, because it lets you experience the company’s quality of service, before committing to the paid service. Second, there’s the 100% free VPN, which may be the worst deal you can get. These services are free, because they’re getting access to your computer and your browsing activity. This means they’re probably selling your data, interjecting advertisements, or hacking your computer to get your account details. In some cases, the VPN provider may be doing all three. If you really want to try out vpn for free. They are premium service but free plan with limited function is also available. If you satisfy then you can upgrade it later. Most vpn providers have vpn software for you to set up connection very easily. Simply download and install it on your devices, Open it, login and select Japanese server. If your vpn provider doesn’t provide it you can set it up manually with following steps below. Find your IP Address. Before you can actually set up your VPN service, you will need this one piece of information. If you don’t have your computer’s IP address and don’t know how to find it, there are online services that will provide it for you. Go to a site like whatismyipaddress.com and write down the information they provide to you. It will be needed for the next step. Create a new VPN network. First, you’ll need to navigate to the “Network and Sharing Center” in your computer’s control panel. To get there, click on the start menu, navigate to “Control Panel” and click that. Once the control panel window opens, find and click on “Network and Internet” and that should take you to the “Network and Sharing Center” option. After you click that, you’ll be presented with an option to “Setup a New Connection or Network” and you’ll want to click on that. Choose “Set Up a New Collection” and “Connect to a Workplace,” which will take you to a final set of options. Here, choose and click on “Use My Internet Connection (VPN)”. Now, you’re ready to create your new VPN server. After you fill in the required field with your IP address, click next. Connecting to a VPN network. On this page, you will be asked to supply your username and password. Once you do this and click “Connect,” the VPN service will launch nd attempt to connect to the internet. Once a connection is made, you’re all set to browse under the privacy and security of your new VPN network. Can I Download Free Line Sticker with Japan VPN? 1. You most likely registered with a mobile phone number. If this is the case, remove the phone number and go back to sign up by email. To do this, click the following items in sequence: More> Settings> Accounts> Email Registration. After you have completed this process, click on the email verification button. 2. Next, you’ll want to connect the Line ID to your Facebook account. This is a simple process, accomplished by clicking on Settings and then clicking on Accounts. Here, you should see a button with the Facebook logo. Click that to complete this step in the process. 3. Finally, you will need to delete or remove the line app, so you can download a clean copy from the app store. After you do this, login to Facebook without registering with your phone number again. The digital revolution has changed how we organize our lives, but it has also brought a heightened need for privacy and security. VPN services provide those, but some of them can cost us more than they provide. The important thing is to research a product before making a commitment. You may find that the paid premium option will be more cost efficient in the long run.